Horasis will convene the 2019 Horasis Asia Meeting in Binh Duong New City, Vietnam, over 24-25 November. The event is co-hosted by Binh Duong Province, Becamex IDC Corp. and VSIP Group. The Horasis Asia Meeting will bring together over 500 of the foremost business and political leaders from across Asia and the world. Delegates will discuss how to shape the path forward through Asia’s big transitions and how to adopt innovation to build towards a resilient Asia. 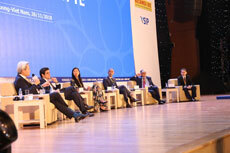 This year, Vietnam plays again host to the Horasis Asia Meeting. The country aims to become an export economy that can grow fast and provide more jobs with higher income for the people of Vietnam and the whole of Asia. The annual Horasis Asia Meeting is Asia’s premier gathering of the region’s most senior leaders from business and government. The meeting is poised to be the ideal platform to explore and advance regional cooperation, impact investing and sustainable growth. 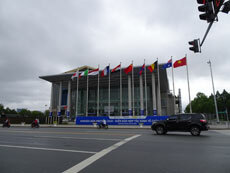 The location of the meeting rotates annually and recently has been held in Bangkok, Thailand (2016), Kolkata, India (2017) and Binh Duong New City, Vietnam (2018). With this meeting Horasis aims to present a systemic view of activities affecting the drivers of Asia’s economic success and how Asian businesses interact regionally as well as globally. Horasis – a global visions community committed to inspiring our future – provides a unique platform for companies from emerging and developed markets to globalize their organisations. 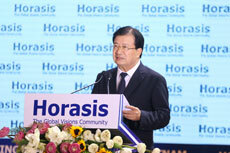 In addition to the Horasis Asia Meeting, Horasis hosts the annual Horasis Global Meeting, Horasis China Meeting, Horasis India Meeting, as well as the annual gatherings of the Horasis Visionary Circle.